Bratislava, February 22 (TASR) – As far as the Roma issue is concerned, the problem doesn’t lie that much with discrimination, but rather with how to include the Roma community into society, stated Foreign and European Affairs Minister Miroslav Lajcak (a Smer-SD nominee) after the Cabinet session on Wednesday. Lajcak was responding to Amnesty International’s (AI) annual report on the state of human rights in the world, which was published earlier in the day and which criticised Slovakia mainly for continuing discrimination against the Roma people and anti-migrant statements made by Prime Minister Robert Fico (Smer-SD). „The truth is that we can’t be satisfied with such a result, but I’m not aware of the fact that we can really speak about discrimination here. After all we have a proxy who deals with these topics,“ said Lajcak in reference to Government Proxy for Roma Communities Abel Ravasz. 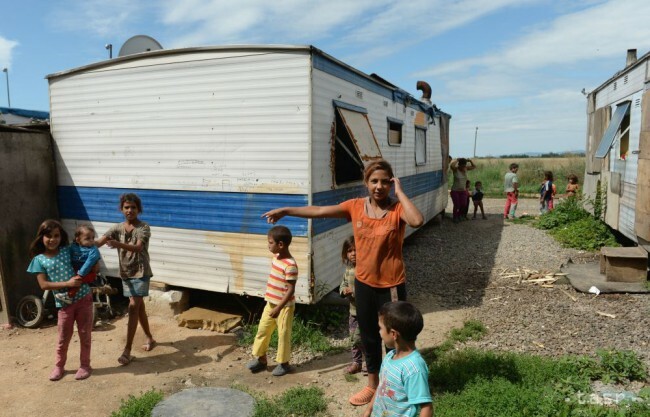 „It’s important not to make a political issue out of it and to do our best in order to really improve their living conditions so that they [Roma] can become part of the economic life of this country,“ he added. Interior Minister Robert Kalinak (Smer-SD) thinks that AI’s claims that only a little progress has been made towards realising Roma pupils’ right to education are a bit exaggerated. AI in its report pointed to the fact that Roma children continue to be over-represented in „special“ schools and classes for children with „mild mental disabilities“ and are placed in ethnically segregated mainstream schools and classes. Kalinak, however, claims that the segregation of Roma children isn’t supported on a legal basis, but it’s the result of the free choice of their parents. „When parents are deciding which school their children will attend, then sometimes these [special] schools can appear that way,“ said Kalinak, referring to the high number of Roma children in these schools. He added that he believes the 2016-18 Strategy of the Slovak Republic’s action plans for integrating Roma by 2020, which was approved by the Cabinet earlier in the day, will help to improve the situation.